Otto Pizza - What is Cornmeal Crust Pizza? 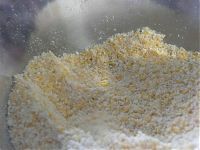 Cornmeal is a flour made from ground dried corn. It is a staple food in many countries around the world. You might know it as polenta or grits. We use a cornmeal and flour mix in our pizza crust to give it a distinctive flavour and texture. The cornmeal makes our crusts stronger and more robust than a normal pizza, which allows us to be more creative (and generous) with our toppings. Our pizzas taste unique, partly because of the crust, and partly because of the alternative toppings. 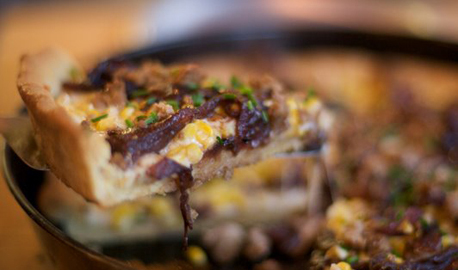 The cornmeal gives the crust a wholesome flavour and because it’s less refined it won’t leave you feeling bloated. It doesn’t have the “doughy” taste of other pizzas. 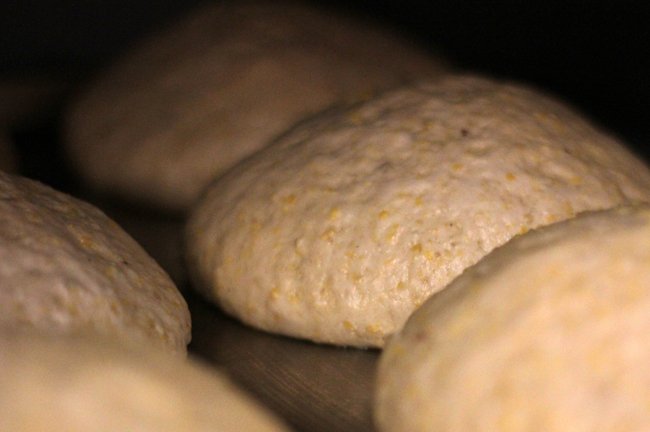 The cornmeal we use means that our pizza crusts are higher in fibre than normal, which makes them more filling. We also put far more topping on our pizzas, as we believe this gives them a much better flavour. Our 12” pizzas really do serve 2-3 people. Is it gluten or wheat free? Our standard pizza crust contains a mix of cornmeal and organic wheat flour in our dough, so it does contain both wheat and gluten. However, because of the lower wheat content (compared to normal pizzas) many of our customers who have a mild wheat intolerance happily devour the pizzas. We do also have a “made-without-gluten” pizza crust that is made without wheat or gluten in the recipe. Unfortunately we cannot sell this as 100% “wheat free” as it is made in our normal kitchen (in which we do use wheat and gluten in other recipes). All of our standard pizzas are available by the half on this pizza base. Any questions please do ask our chefs. Do you offer vegetarian pizzas? 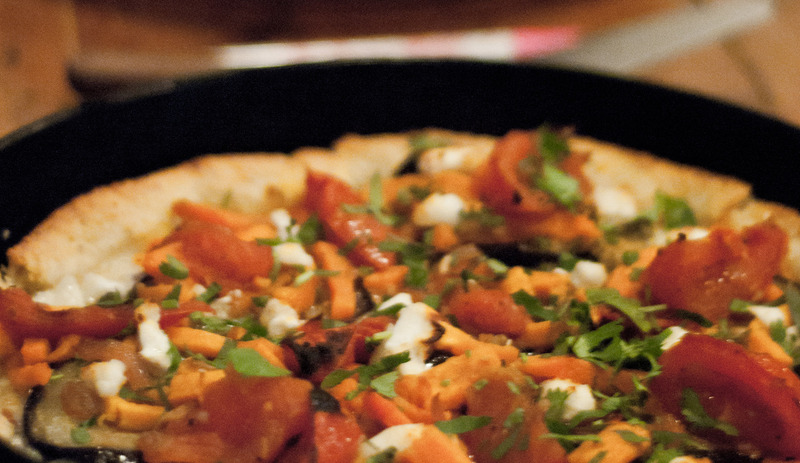 The majority of pizzas on our menu are suitable for vegetarians. We also have several vegan pizzas, one of which is always on the menu (plus please check the specials board).